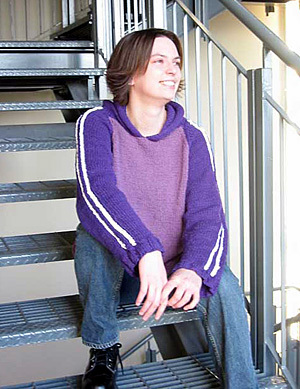 Way back in 2002, I had just moved to Canada, and I had just begun to knit. 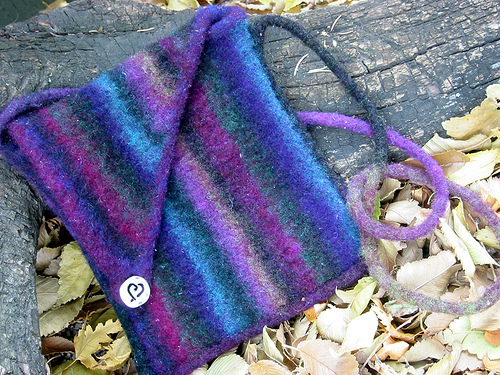 I learned on MarthaStewart.com, of all places, so perhaps it wasn’t surprising that I have always turned to the Internet to find a common community of crafters, and eventually, friends. 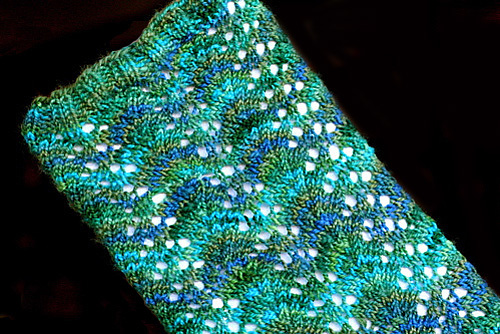 Back then, there weren’t a whole lot of knitblogs, and I quickly became one of them. I remember I could traverse the entire ring in a matter of an hour or so, pausing to read new entries from favorite bloggers. It was a small community, and it felt like we all got to know each other pretty quickly. 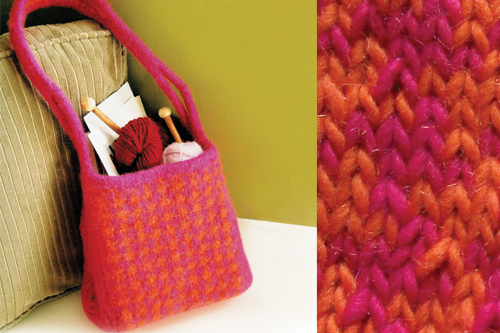 When the first issue of Knitty came out in the Fall of 2002, I already considered many of the people involved to be my friends of sorts. Kate, and Kristi and Jillian and Annie and Bonne Marie… all knitters whose blogs I’d read, comment on, and receive comments in return. 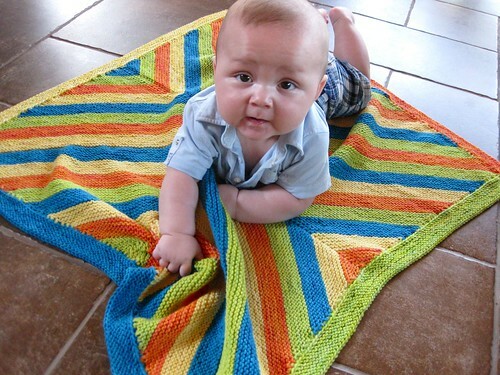 And how exciting and fresh to have these kinds of patterns available online? And Canadian? It blew my mind a little. Students in my classes sometimes ask about when I started designing, and are surprised to learn that it didn’t take long after that first cast on, and that I was largely self-taught. But that isn’t quite true, is it? 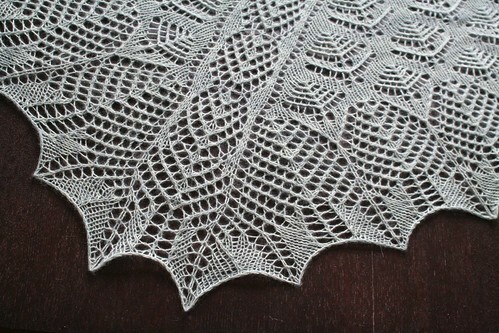 In a way, I can thank Knitty for changing my life. 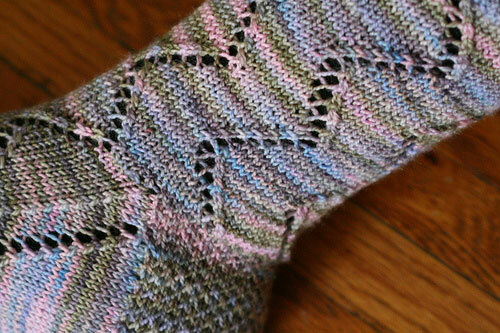 As a new knitter, seeing people I ‘knew’ begin to foray into design gave me the courage to try it out myself. After all, they had ideas and made them work. Why couldn’t I? 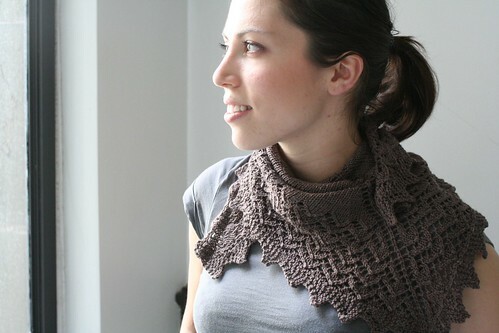 In the third issue, I published my first pattern – Janda. Then, Cleo (Summer 03), Rosedale and Rosedale United (Fall 03), and Nakiska (Winter 03). Somewhere along the line, my work got a little notice, and I started getting asked to contribute designs to books and magazines, and write a few of my own. 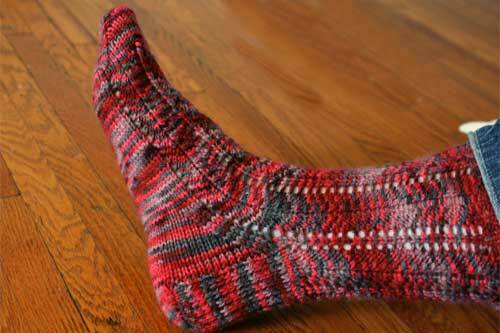 I kept on with Knitty, as I could, though. 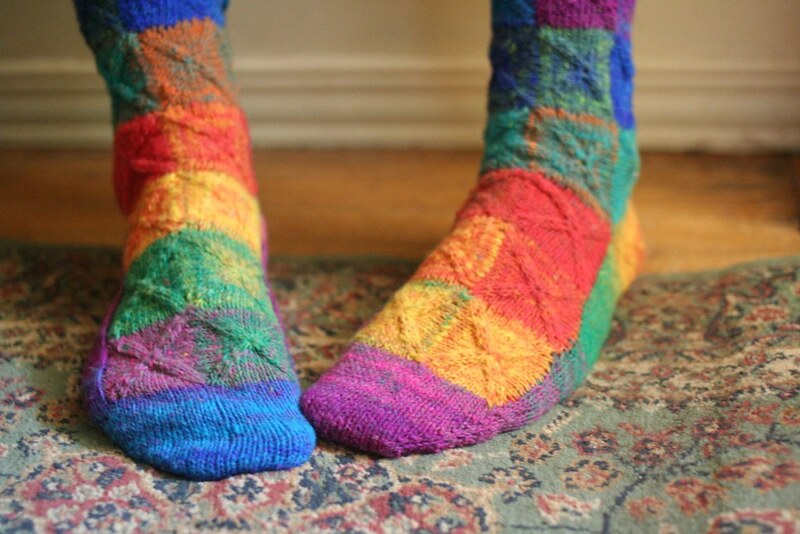 The Universal Toe Up Sock Pattern (Summer 06) has been really well received, as have Emerald (Winter 06) and perhaps most unbelievably, Mr. Greenjeans (Fall 07). I know folks like to argue whether or not it’s good for designers to provide their work to the public at no cost. I suppose you can guess which side of that argument I come down on, quite firmly. 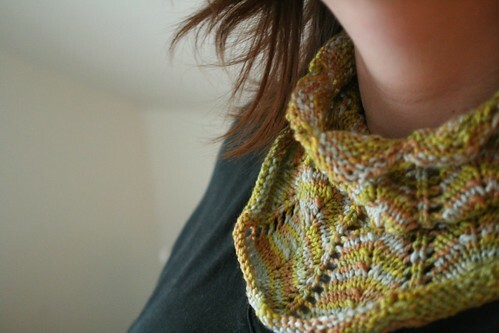 Without the exposure that Knitty gave me, on top of the confidence, would I have published books? 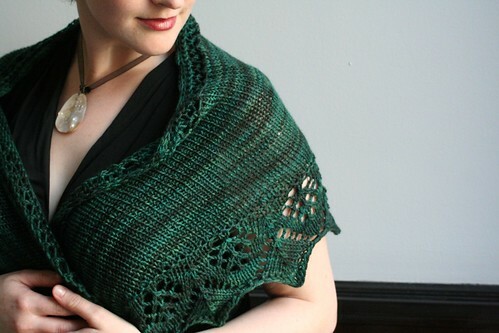 Would my for-sale patterns on Ravelry be just as popular? 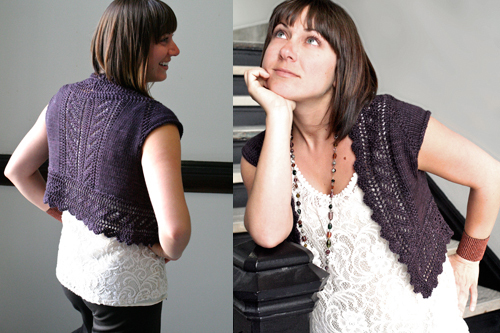 Since that first issue of Knitty back… wow… 7 years ago… things have changed a lot. And I know, from experience, that the longer something great is around, the less we take time to appreciate it. So, today, on what seems like the eve before the Fall 2009 issue goes live, I want to thank Amy Singer for coming up with this bloody brilliant idea in the first place, and for spending so much time working so hard to produce quarterly issues that we all love. 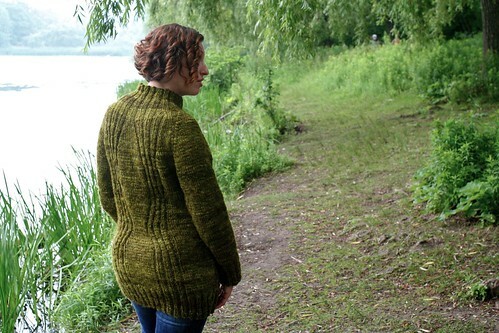 If you have a blog, or are on twitter, please take some time tonight and write up a quick entry of what Knitty has meant to you over the past seven years. Post a comment here, and I’ll link back to your post. I agree with you 100%. 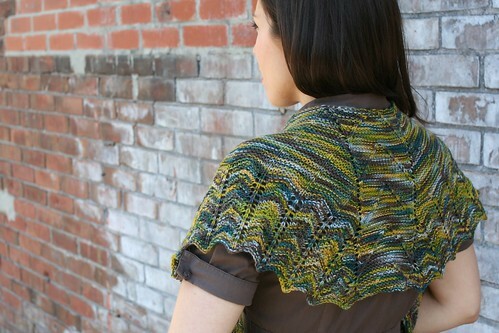 Knitty is a great place and I think it’s really good to designers even if the patterns are free for the knitters. 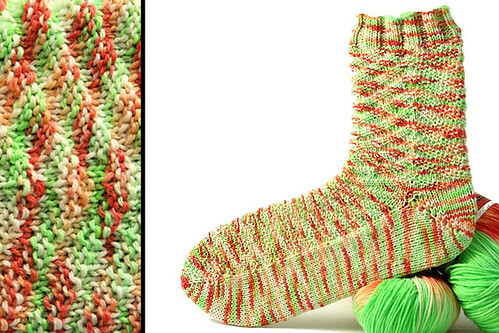 Knitty gives a lot a recognition for a designer and I’m really glad to – soon – be one of them. 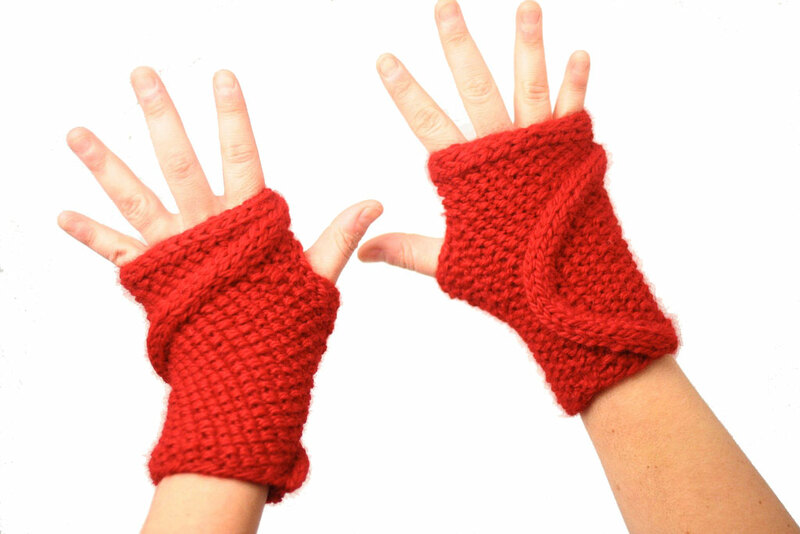 Go Knitty! 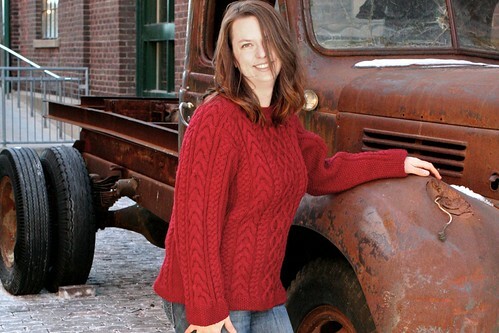 Knitty is wonderful and so are the designers! 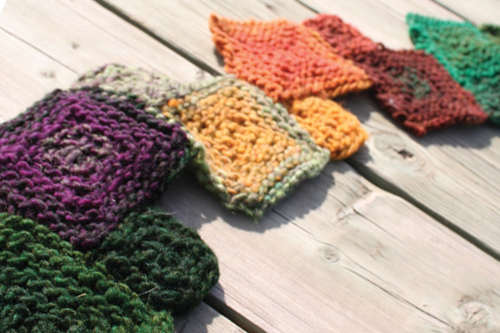 I looked back at the patterns you’ve contributed, and realized that most of them are on my wanna do list. Even Mr. Greenjeans. Maybe especially that one! I like that Knitty is Canadian like me. 🙂 I love how it shows something about each designer, and even who the models are. 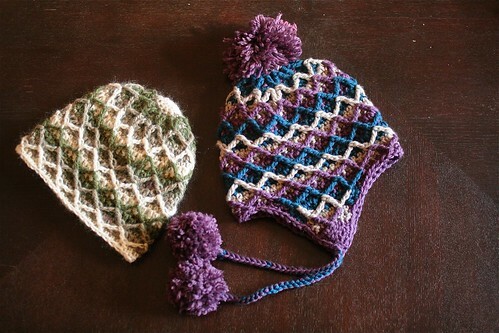 I’ve found blogs, like yours, through Knitty, and patterns that I love. The archive means I don’t have to worry about losing them. I like that. 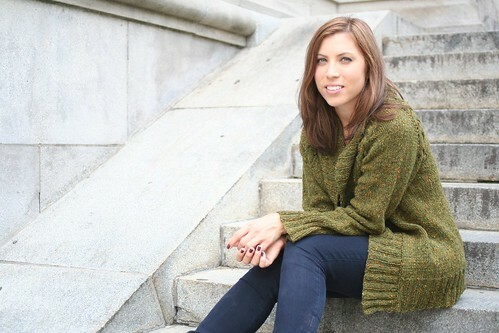 Thanks Amy, for your designs and to Knitty and all who make it happen. 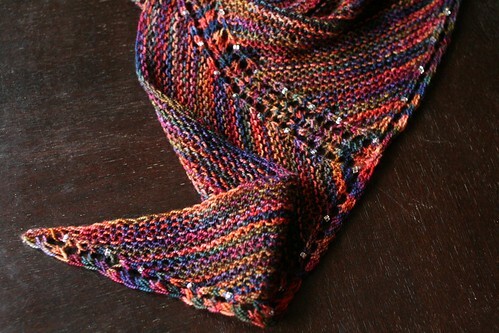 I also think knitty is awesome. Thank you Amy! 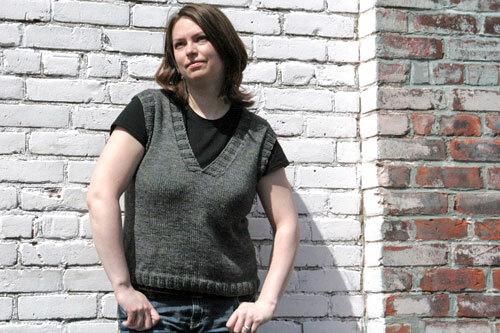 Ravelry would not be around if knitty had not blazed the trail first. 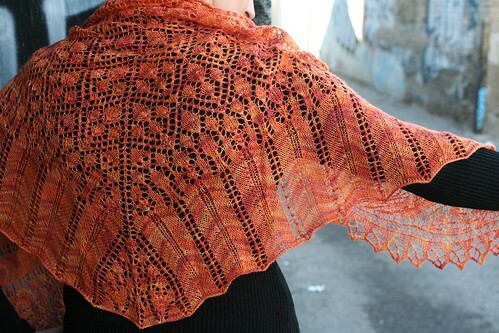 I have a friend aspiring to be a designer and we both know the most important first step is being published in knitty. It is the single most important factor in becoming successful (other than being good!!). I proudly have a knitty sticker on my car and all the knitters in my group are jealous that I got it from Amy. 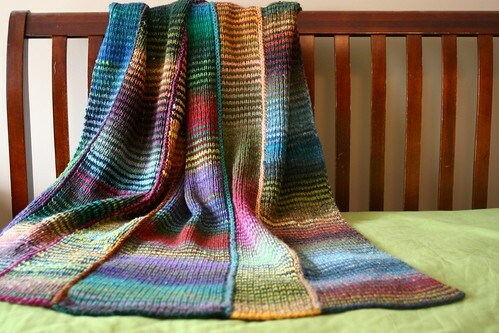 Wow – I completely remember being a part of the old Knitblogger’s ring (24 Knits) and surfing through it in a matter of hours. 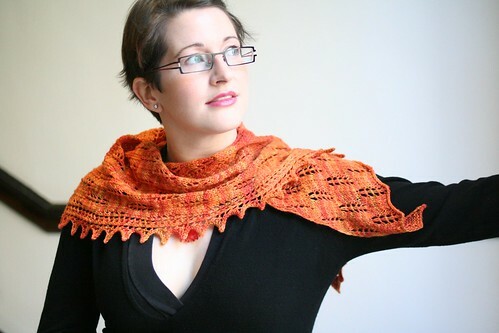 I remember Knitty’s first issue and how exciting that was to get young fresh patterns for free. 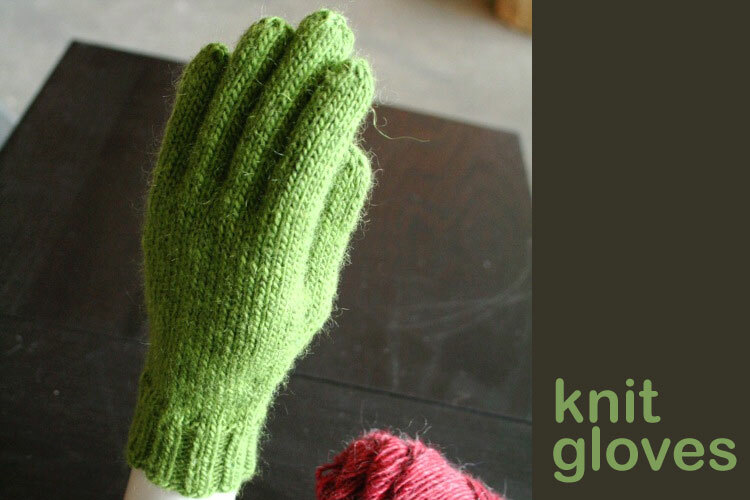 Even then, the online knitting world was so small that almost everyone was working on the same projects. Now it’s blossomed into its own life force, and although I love it, it’s good to remember how it all started. Thanks for the trip down memory lane. 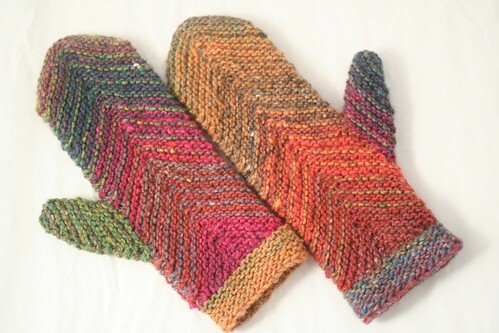 I discovered Knitty in early 2003, had major surgery and sitting and sewing were out of the question. Knitting came back into my life and everything started going good. 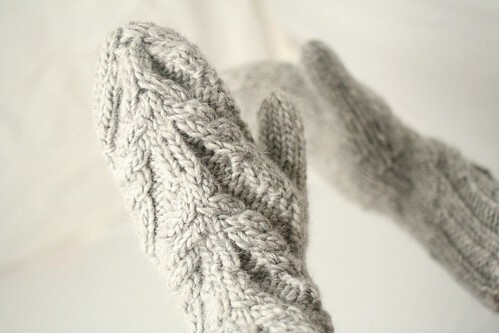 I think everyone I know has a pair of Fuzzy Feet from me and Knitty! 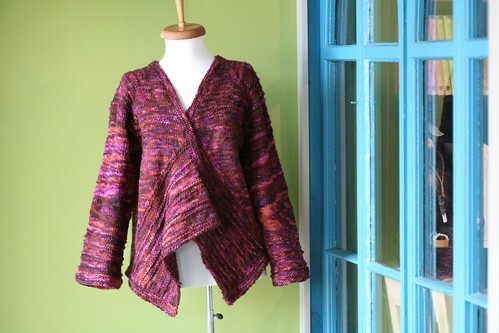 And I get to spend this weekend with Amy Singer in Austin, Texas At the Knitting Nest. Thank goodness the summer heat wave has broken and she might like it south of the border!! Amy S. love you and have for a long time. Keep up the good designs and spirit!! Kiss those doggies for me!! It’s funny to read this from you since I was just writing something very similar in this book I’m working on the other night! Wasn’t it amazing? Isn’t it still? Love you & Amy & Jillian & all the gang! xo! How cool! Excellent shout out and an awesome recap to your past designs. 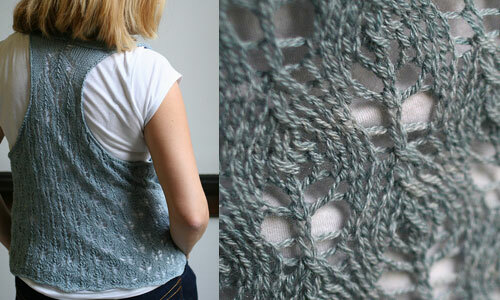 I’m late to the party (like always) but I did string some words together for my own knitty holla! 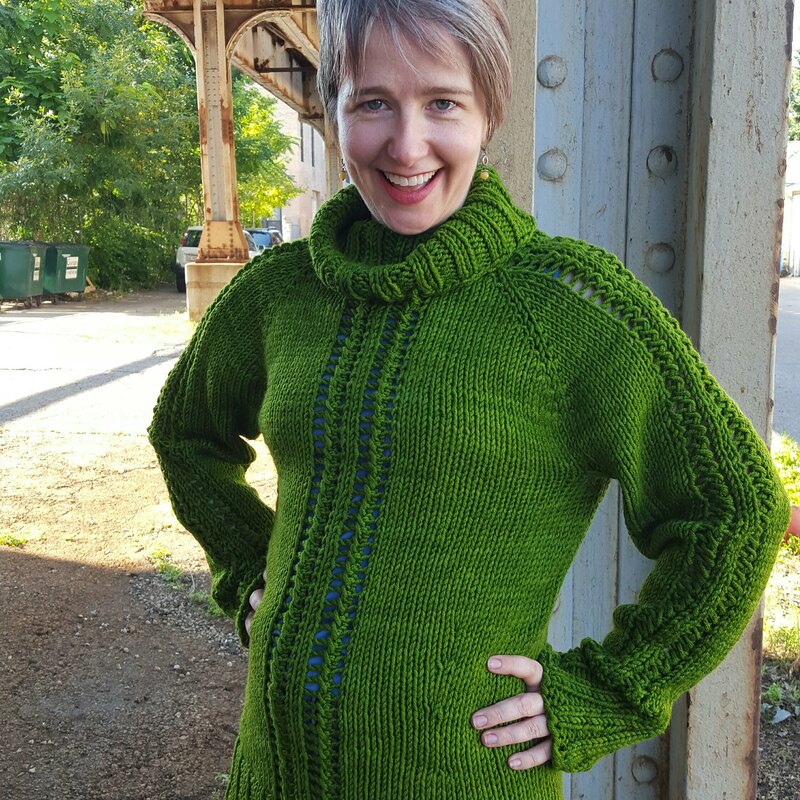 I don’t know that I have enough to write to fill an entire article, but I wanted to mention that Janda was the first pattern I ever attempted and – amazingly enough – the first project I ever finished.